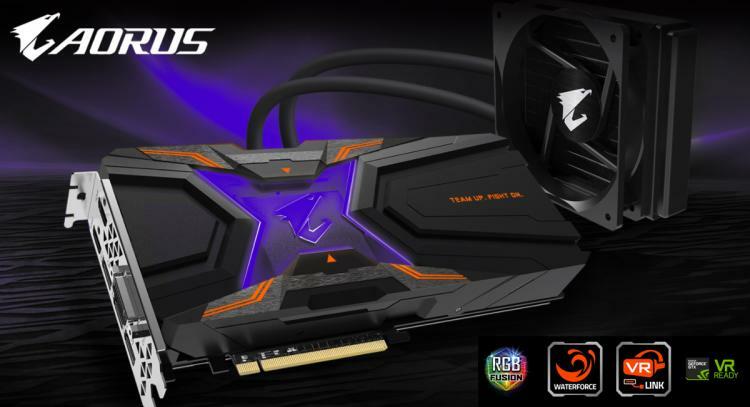 GIGABYTE AORUS expands its NVIDIA flagship Pascal architecture-based GeForce GTX 1080 Ti line up and officially introduces two new models featuring the superior cooling power of liquid cooling. The two new AORUS-brand GeForce GTX 1080 Ti graphics cards feature GIGABYTE’s WATERFORCE cooling engines. 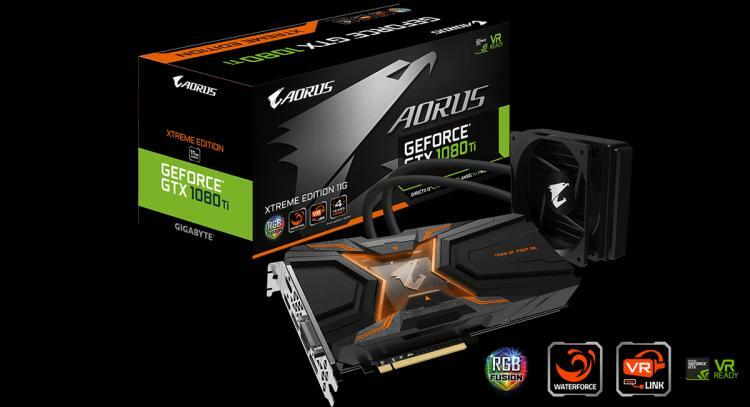 The two new models are the AORUS GeForce GTX 1080 Ti WATERFORCE Xtreme Edition 11G featuring a closed-loop liquid cooler and the AORUS GeForce GTX 1080 Ti WATERFORCE WB Xtreme Edition 11G that features full-cover waterblock that’s to be added in an existing custom liquid cooling system. The new WATERFORCE GTX 1080 Ti models with its superior cooling engines offer a more silent operation for any GPU-intensive gaming or application such as 4K gaming and VR. WATERFORCE provides cooling to all critical components of the graphics card including the GPU, VRAM and MOSFETs. 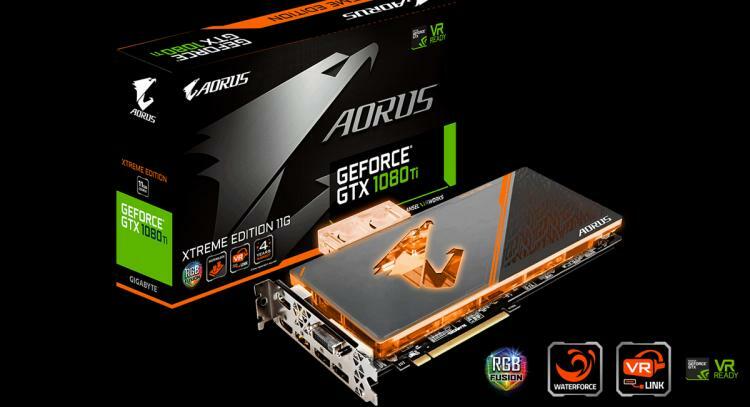 Both graphics cards also feature VR-friendly connectivity, GIGABYTE’s RGB Fusion, 12+2 power phase design, aerospace-grade PCB protective coating and premium quality components plus the AORUS Core 4-year warranty offering a complete package of quality and reliability. Features an all-in-one liquid cooler design with minimal maintenance required with its fully-sealed WATERFORCE cooling engine. Heat is then dissipated using a pre-installed 120mm aluminium radiator with a double-ball-bearing blade fan for keeping the temperature in check for a longer lifespan. Features VR-friendly technology with 1 native front-facing HDMI port to easily connect a VR device from the front of a PC and 2 HDMI ports at the back giving a total of 3 native HDMI ports available. Sports a full-cover water block with a large copper base plate that directly cools the GPU core, VRAM and other vital components. The optimized liquid flow over these critical areas is able to rapidly remove heat, keeping the card cool and stable even when aggressively overclocked. Excessive GPU heat can be dissipated through the advanced copper back plate.